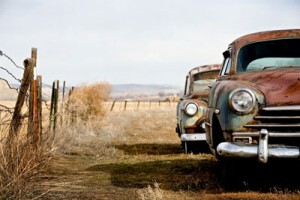 Did know you a junk car that sits for too long can be categorized as abandoned and towed? The last owner on the registration will have to pay the fees. Don’t let that happen to you! If a car sits for too long, not only is it unlikely to start and run, but it can become an environmental hazard too. As the seals wear down in the continuous Northwest rains, they begin to leak, and old parts start to decay. They can also be a source of mold and or become a second home for animals or insects. By this point, it wouldn’t be cost-effective to get it fixed. Fortunately, you have other options. Instead of putting off getting that old clunker fixed, call up Cash for Cars Northwest for junk car removal in Vancouver, WA. Not only will our auto wrecker take that car off your hands, but we’ll you pay in cash–right on the spot! As soon as you call us, we give you an accurate quote over the phone. Want to call around and check out other prices? No problem. We know we offer top-dollar and you will likely call us back for removal of your junk car. Whenever you call us you will not be pressured to sell. If you want time to think about it, keep our no-pressure quote in mind and call us back if you change your mind. 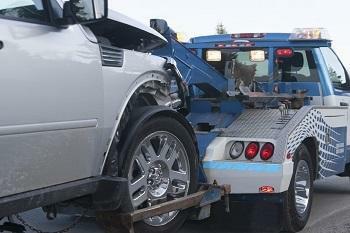 If you do decide to let us your junk car removal, we pick it up and tow it away for free. When we do, we pay you cash on the spot. It’s that simple! No need to place an ad and make time to show people the vehicle. One call is all it takes, and we’ll even arrange pickup around your schedule! So what happens if you don’t have the title for your car? No problem there either. We’re still able to remove the vehicle. We file the missing title paperwork and take the hassle out of your hands. We’ll even take care of the DMV paperwork, so you can rest assured the car is no longer in your name. No matter the make or model of your vehicle, we’ll pay you for it, whether it runs or not. Have a 30-year-old car that’s been in your backyard for over a decade? That’s fine with us. We pay cash for cars and give you the best price possible for it and tow it off your property for you. And if you happen to have a car that’s basically a glorified piece of rusted metal, we’ll take it off your hands at no cost to you with our free junk car removal service. As our business only focuses on Vancouver, WA and the surrounding areas, we care about our community. That’s why we use environmentally sound practices and recycle whenever possible. All our business partners do the same. We show we care by offering the best prices and upholding the best business practices possible. If you need your junk car removed from your Vancouver property, contact us today for a free no-obligation quote!